At some point during the FIBA World Cup, in amongst all of the excitement and focus on the great players that took part in the event in Spain, someone will pull together a clip of all of the players that were supposed to take part in the summer tournament but never made it. There was a lot of players who were never going to sully themselves by attending this event, it is not a tournament that has universal backing in the world of basketball, especially at the high end of the NBA, but there have been plenty of players who were tipped to shine in Spain who found that their plans have been ruined by injury or exhaustion. With the tournament now being very close, you would expect things to settle down, but it seems as though there are still a number of players that are going to miss out on the major event in Europe this summer. There has been some coming and going regarding the fitness and summer plans of Nemanja Nedovic from the Golden State Warriors. A few weeks back, it was reported that he had picked up a stress fracture in his foot, which would see him missing out on the World Cup for Serbia. The prognosis on this was later changed to state that it was not a fracture, which has led to some hope that he would be fit to play in the World Cup. Unfortunately, the player’s recovery has not gone as well as was hoped for, and it has been announced that he will not be participating in this summer’s leading basketball event. 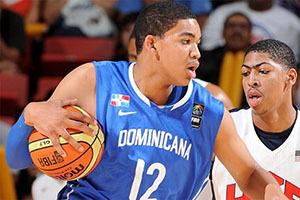 There has also been confirmation that Karl-Anthony Towns from the Kentucky Wildcats will not be involved with the World Cup. He has been playing with the Dominican Republic team in their warm up games, but it has been announced that he will not be heading to Spain this summer. In all honesty, this isn’t a major surprise as the player is attending classes at the University of Kentucky, and these are set to start soon. Playing in a World Cup is a huge opportunity, but it is one that that the player will hopefully have the chance to experience at another point in his career, it may not be so easy to make up time at University. 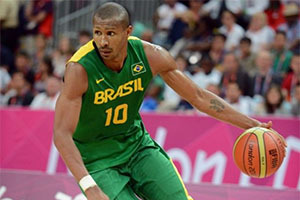 Another FIBA World Cup related story is the future of Leandro Barbosa. Barbosa is currently looking forward to the World Cup with Brazil, and there are plenty of eyes on what the player will do. It looks as though Miami Heat are keen on the player but they will hold off any decision to snap him up until the World Cup, or at least Barbosa’s World Cup, has been concluded. This is a sensible move. The player could pick up an injury during the big event, which could rule him out for a length of time. This will also give the Heat another chance to see how Barbosa handles the pressure of high profile basketball. Another team may take the opportunity to jump in while the Heat dithers but on the whole, this seems to be a sensible move for club and player at this moment in time. You can see why clubs are unwilling to commit to a major contract before a player goes off to play a number of games that are outwith their jurisdiction. You just have to hope that Barbosa remains focused on his play on Spain.